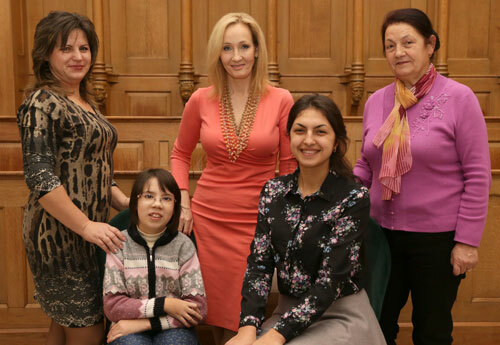 Lumos has active programmes across eastern Europe, and the winning project is based in Moldova – Europe’s poorest country with one of the highest rates of children separated from families and placed in institutional care. So Lumos set about creating inclusive educational services from scratch. It was a process that involved changing mindsets at every stage of the process – putting the needs of children above the needs of the State and at the heart of decision-making. The charity uses financial modelling to prove that replacing institutional care with home and community-based services is cheaper, as well as better for the children. By the end of 2012 the number of institutionalised children in Moldova had reduced by 62 per cent, but this still left around 4,000, with 45 per cent of those disabled. The government has now drafted a new action plan for deinstitutionalisation for the period up to 2020. Awards judge Richard Hawkes, chief executive of disability charity Scope, said the project demonstrated “really good practice in a challenging environment”. Judge Su Sayer, founder of United Response, described the programme as “a terrific model”.